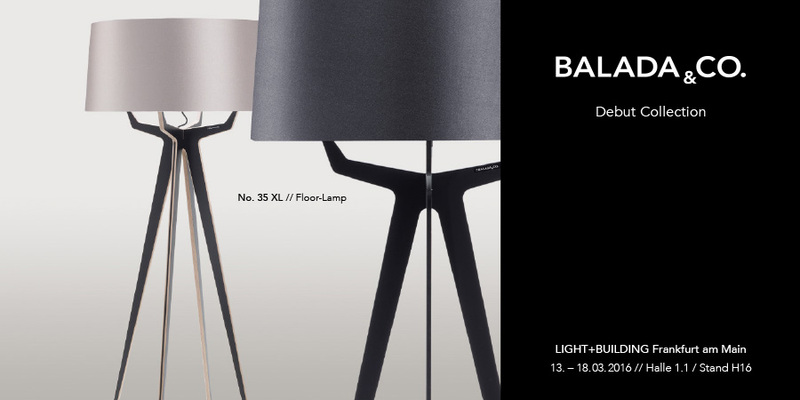 BALADA & CO. at Light + Building | BALADA & CO.
Munich, March 2016 The young design company BALADA & CO. will be displaying its first collection at Light + Building 2016, the world’s leading trade show for light and building services technology. Following imm cologne 2016, this will be the company’s second key industry fair. BALADA & CO. embodies aesthetics that create the perfect ambiance through clear, sleek shapes and colors. Supreme quality in innovative materials underscore this young design label‘s demanding standards. With passion and great attention to detail, BALADA & CO. creates lamps in collaboration with local businesses and work-shops, fostering the very best of design Made in Germany. Sleek, clear, and discreet – yet with tremendous attention to detail: thi s is the creed of the Munich label BALADA & CO. The lamp maker unites classy, fresh design with timeless aesthetics to earn its place in any residence. The young company was founded in 2015 by Munich native Christian von Petersdorff, who also oversees all design work. In 2016, BALADA & CO. is launching its first lamp collection, consisting of four models. Each one is customizable with personalized colors and innovative materials, such as FENIX NTM® Nanotech Matt Material. This leading international event is held every two years, providing a venue for the industry to present its world debuts in lighting, electrical applications, home and building technology, and software for the construction sector. “We are really excited to be presenting our first collection at Light + Building 2016. Following imm cologne, Frankfurt will be the second important trade show for our young brand. We are looking to use this opportunity to draw attention to our debut collection, and especially hope to encounter architects, interior designers, planners, and engineers,” says BALADA & Co. Founder Christian von Petersdorff. 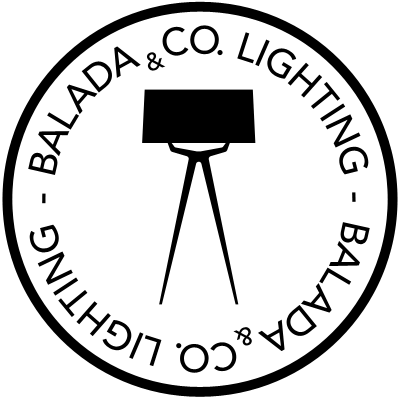 You‘ll f ind BALADA & CO. on 13 – 18 March 2016 in Hall 1.1, Stand H16.